Well he did it. Jesse went 30 days without eating a cheeseburger. There were times when he would have cheated, but I did not capitalize. I'm just too nice. Plus, part of me wanted him to succeed. I'm sure his arteries are thanking me. So tonight, after we took Angie to the airport, we stopped the good old In-N-Out burger. Jesse ordered two double doubles, animal style, minus the pickles. We got home with 16 minutes to spare and guess what? We were out of ketchup. Jesse went to the store and came back with just two minutes to spare. Then he opened up Pique A Boo and saw that it was indeed Burger Time. 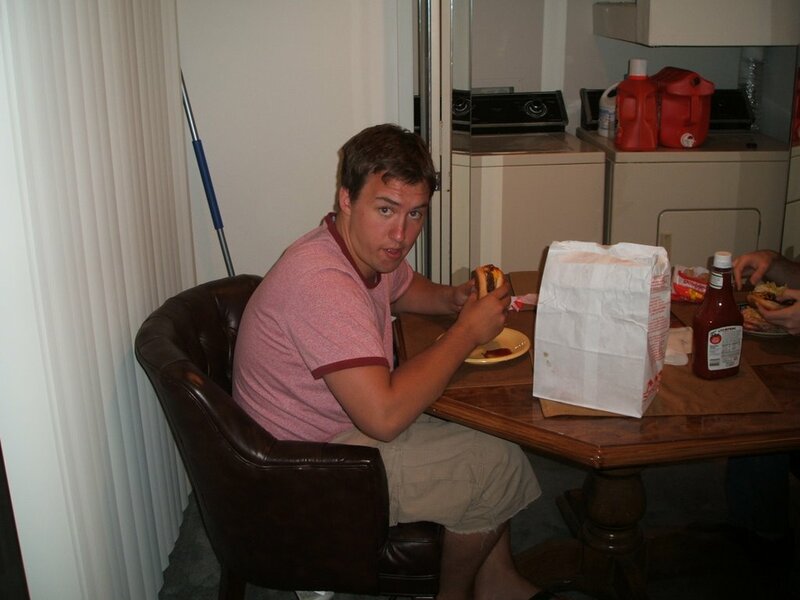 He ate the first burger so fast, I doubt he tasted it. 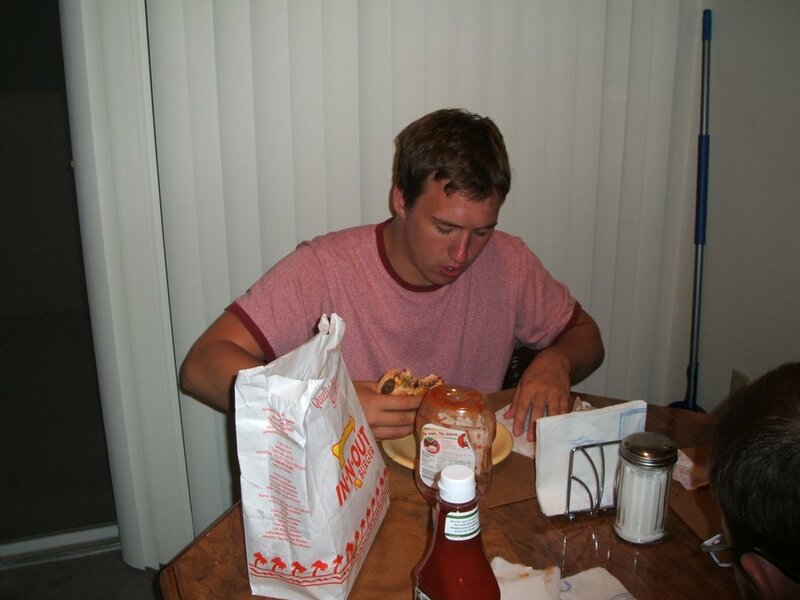 He savored the second burger a little longer, but not much. Then he lounged on the couch in prime burping position. And there goes the great Cheeseburger Challenge of 2006. Maybe next year I'll try for two months.